SS- Split Systems: Designed to be the most Basic Model, Lowest Cost, Lowest Maintanence system to suit your load covering needs. 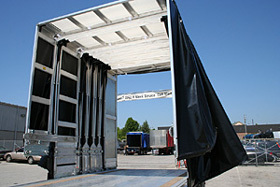 STS- Single Transition Systems: Designed to be the Middle of the Road Model offering lots of load covering versatility. 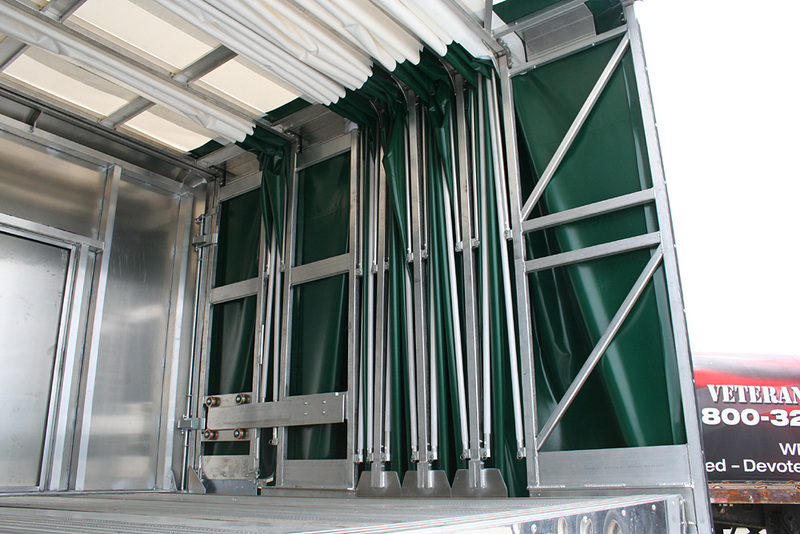 · Upper Deck unlocks from the bulkhead and piggy backs onto lower car frame and rolls to the rear of trailer. 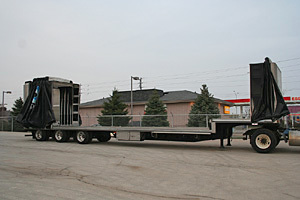 · Lower Deck rolls forward and always stays on its respective deck. 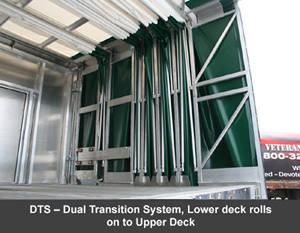 DTS- Dual Transition Systems: Designed to be the Most Versatile Model, Highest Cost, Most Maintenance, Most Temperamental load covering system. 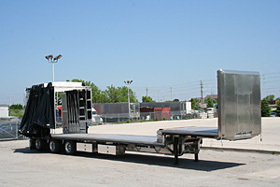 · LCS likes to be up front when describing this system. All similar systems will react the same when damaged; resulting to misalignment issues transitioning onto opposite decks. 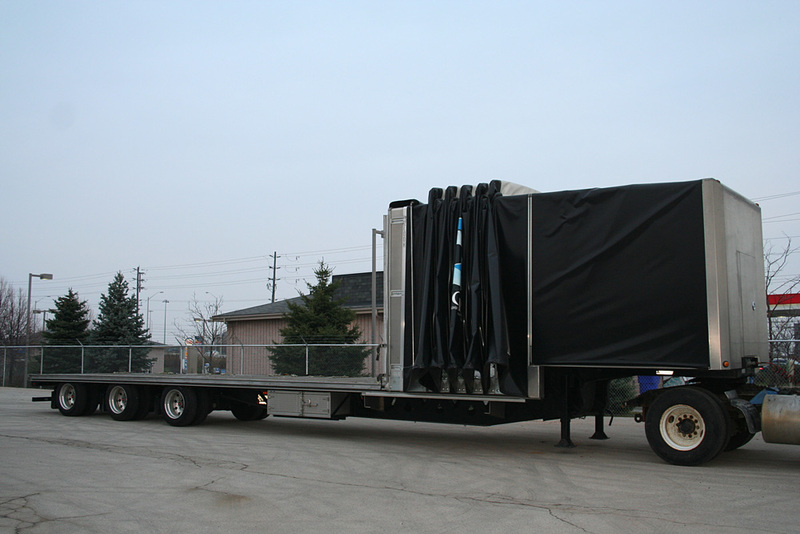 The DTS system can be a 2 person job when the trailer is on uneven ground or when affected by side winds so BEWARE when requesting this model. 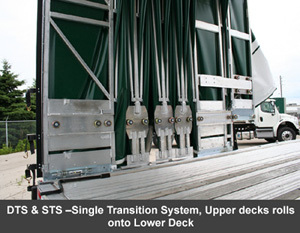 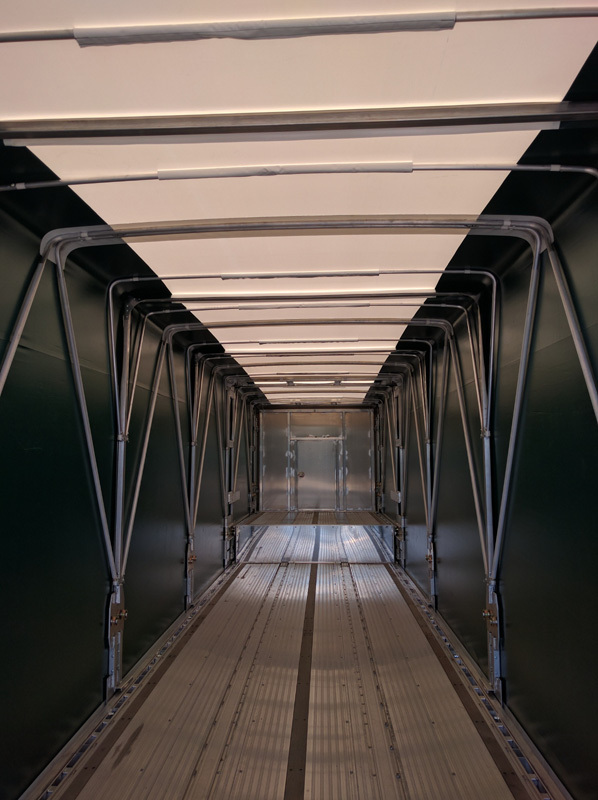 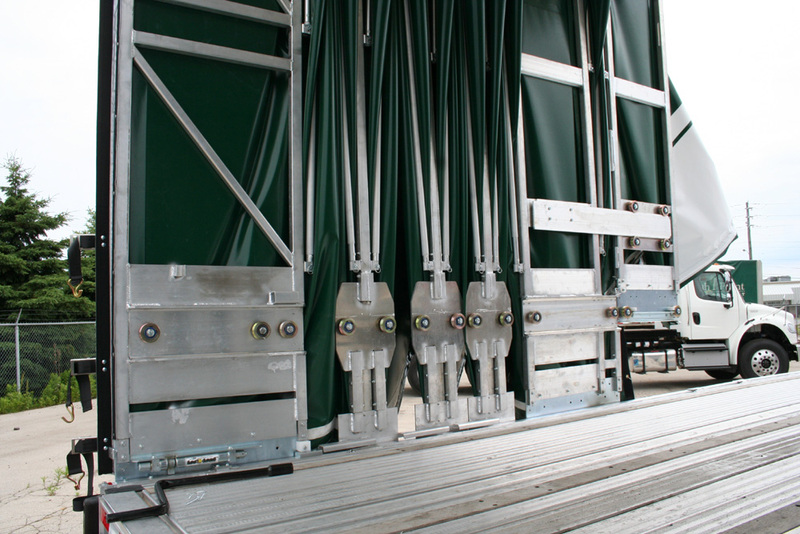 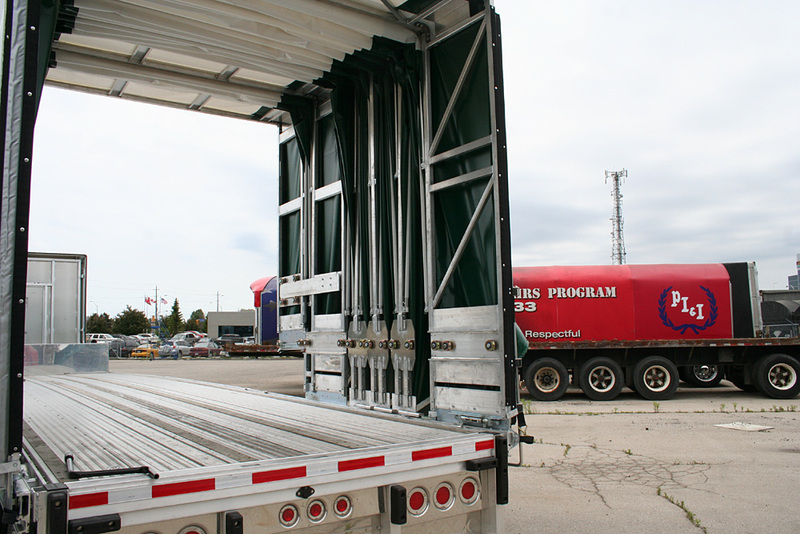 · Lower Deck rolls forward and transitions onto the upper deck providing full lower deck access for loading. 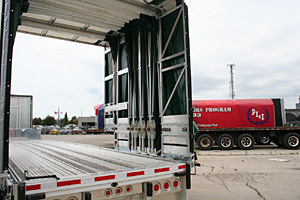 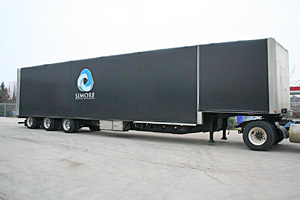 Typically a 53ft trailer is required to transition the entire lower deck onto the upper deck for loading containers. 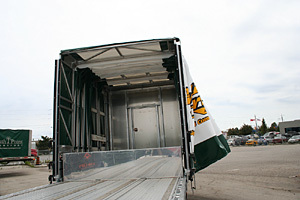 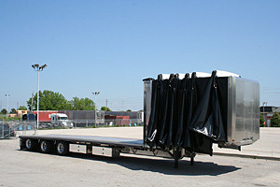 Purchase your next Specialized ROLL TOP System from Load Covering Solutions. 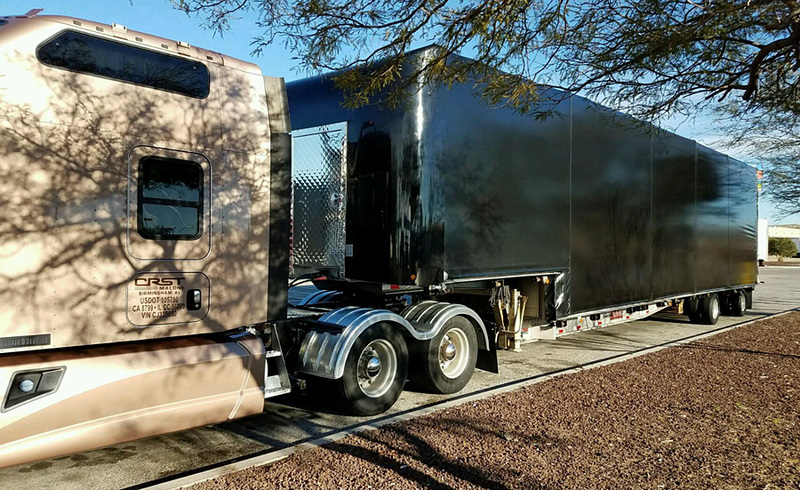 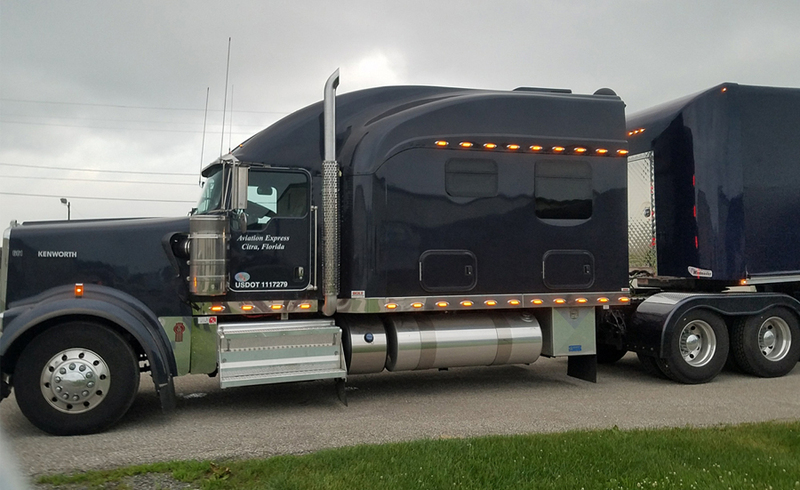 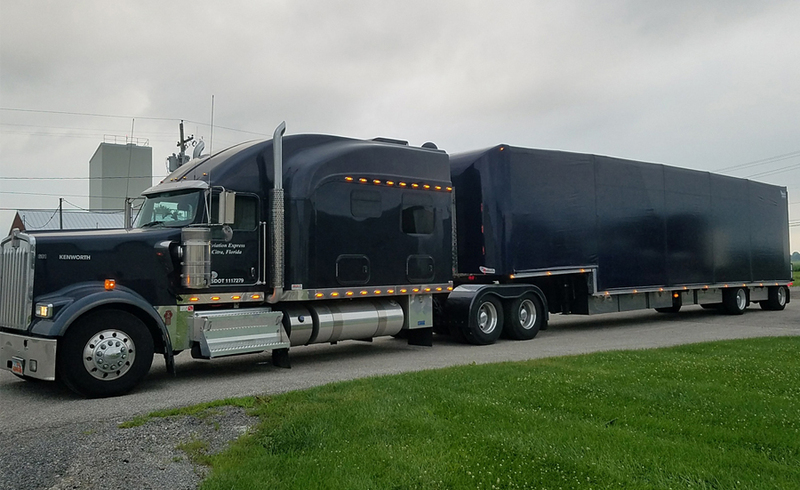 Available with the Windmaster SMARTLOOK Aerodynamic Fully rounded front bulkhead offering CFD tested 9.96% wind drag reduction or 4.98% more efficient fuel economy.